Be the first to know! Join our Barnyard Loyalty Club and register to receive email or sms newsletters from Suncoast Barnyard to be notified of our giveaways, latest specials, show line-ups and attractions. You get 50 Barnyard Bucks on your birthday! An exquisite new Barnyard Theatre to open at Suncoast in December 2018…The Barnyard Theatre is proud to announce its return to Durban through the launch of its new venue at the renowned Suncoast Casino and Entertainment World – a member of the prestigious Tsogo Sun Group. This will bring the total number of Barnyard Theatres in the group to seven; Cresta Barnyard, Rivonia Barnyard, Emperors Palace Barnyard, Gold Reef City Barnyard, Cape Town Barnyard, Silverstar Barnyard and now Suncoast in Durban, Kwazulu Natal. Suncoast is Durban’s premier entertainment destination, an entertainment complex situated at the northern end of Durban's Golden Mile, adjacent to the Kings Park Sporting Precinct and near the Moses Mabhida Stadium. The Barnyard Theatre was the perfect fit to add to their family entertainment offerings. 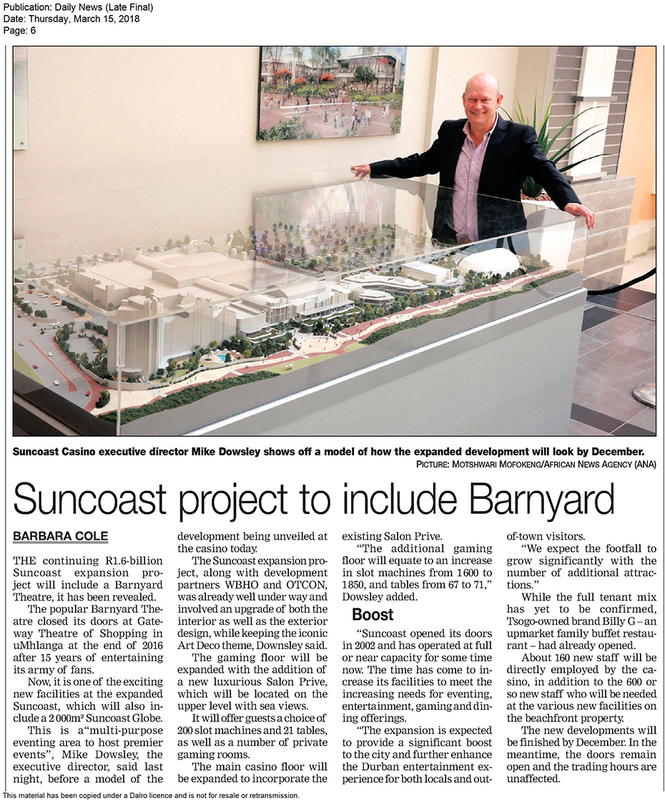 This new Barnyard will be situated on the promenade at the new wing of the exciting multi-billion revamp, which Suncoast Casino is undergoing and promises to be an exquisite venue. This new Barnyard in KZN will be under new management and will fall within the same ownership umbrella as the rest of the venues currently in the Barnyard Group (not franchised). Durbanites can look forward to an excellent show experience and same wooden interior and casual seating-style that creates the distinct ambiance, unique to the Barnyard Theatres. 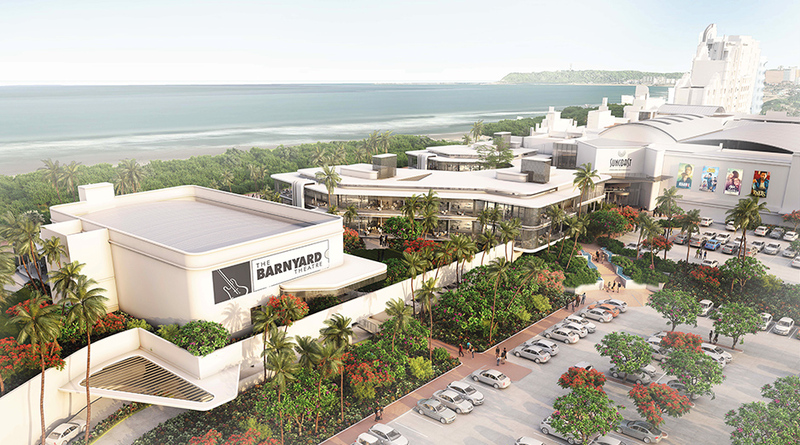 The new Barnyard Theatre in Durban will include an in-house catering division with pizzas, snack baskets, platters, buffet options and more for sale to patrons attending shows. This unique theatre experience provides the perfect night out with live entertainment for couples, families and friends. The Barnyard Theatres are also ideal for birthday parties, fundraising events, corporate functions, client entertainment, day conferencing and more. The Barnyard Theatre group is extremely excited about this new venture, and will soon be entertaining guests at this magnificent new venue in KZN.